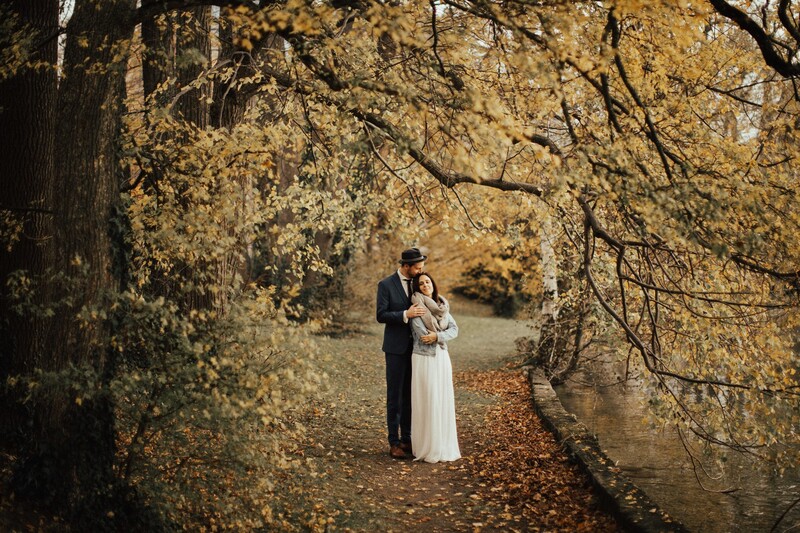 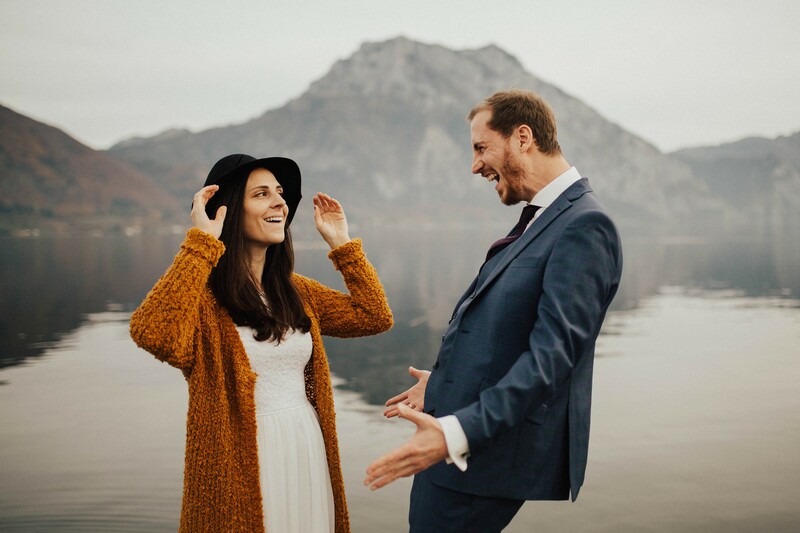 After photographing their wedding at Schloß Ort Gmunden last summer we met again to take some pictures far from any wedding busyness and time schedules. 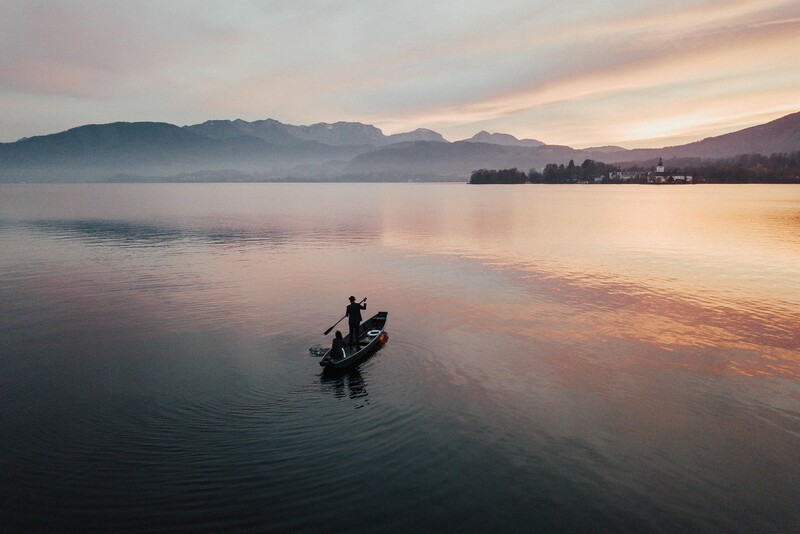 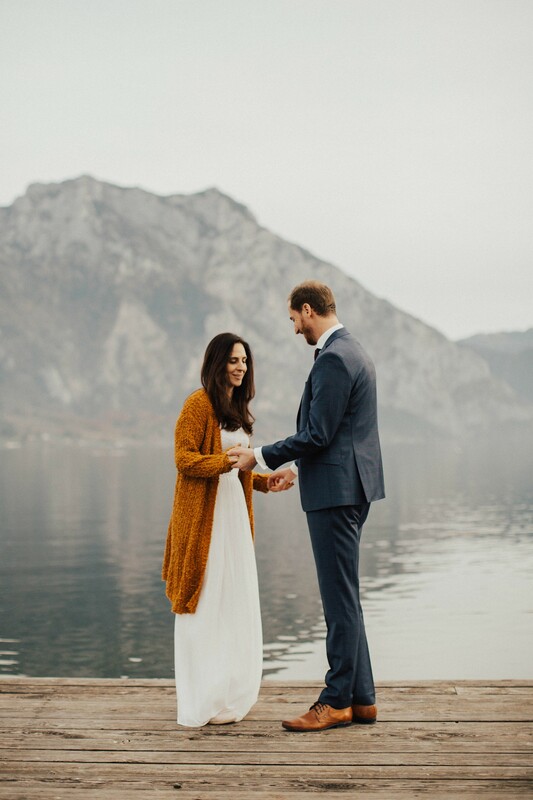 How I love Salzkammergut area and all it’s beautiful spots to take photos! 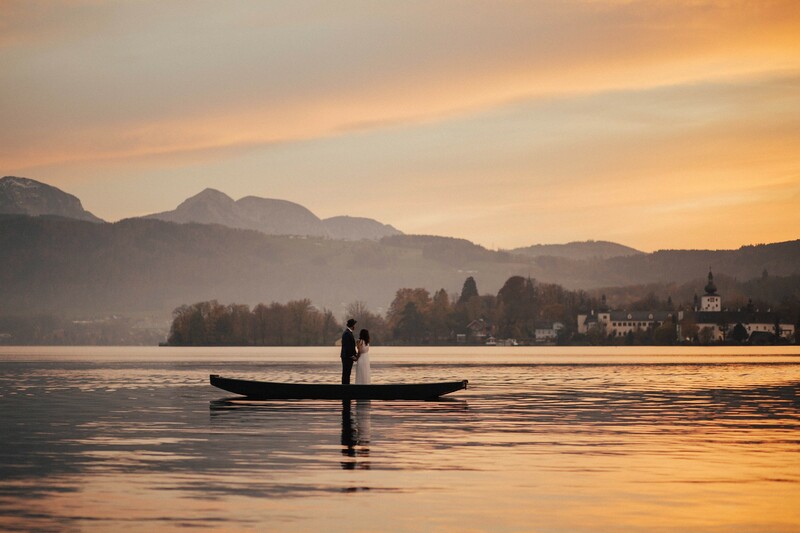 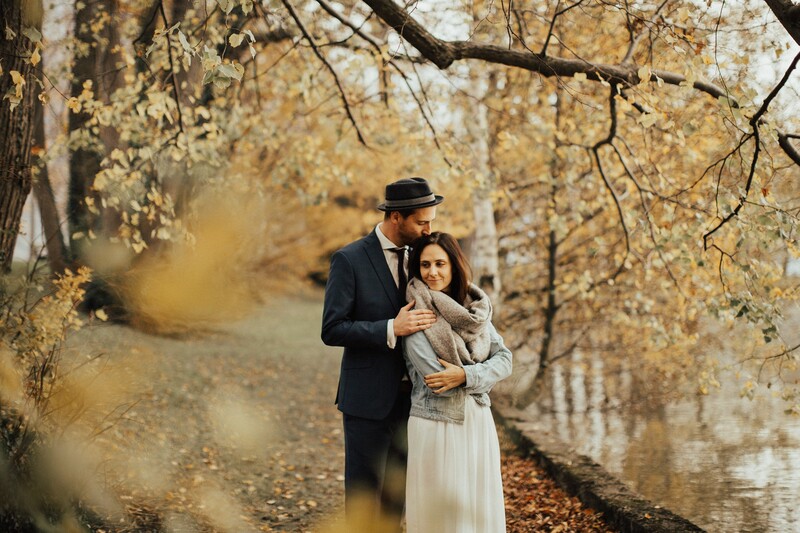 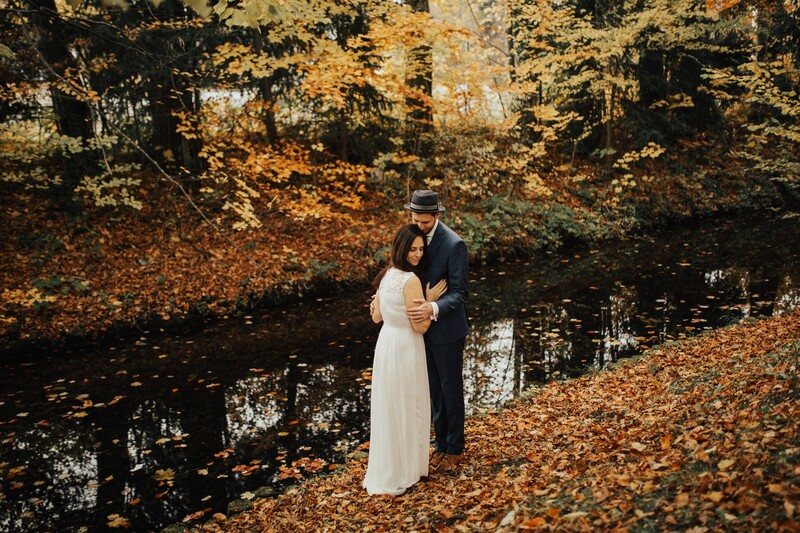 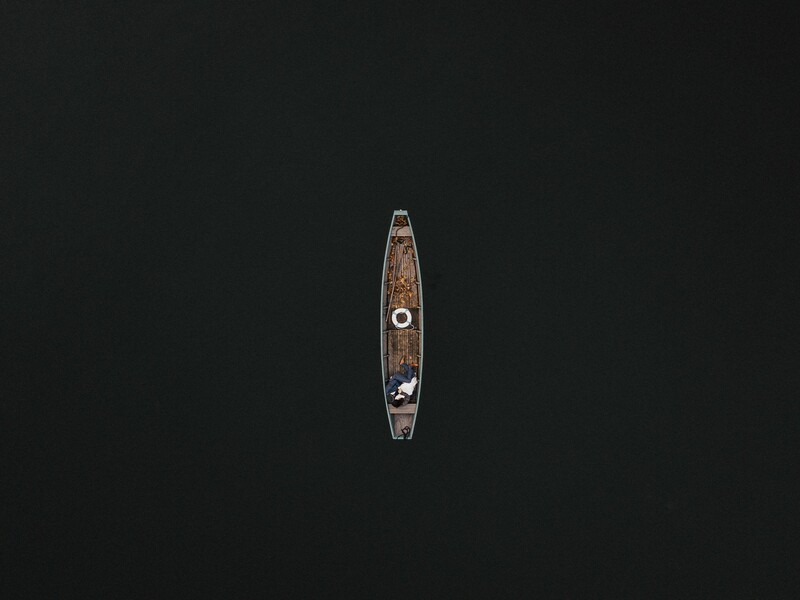 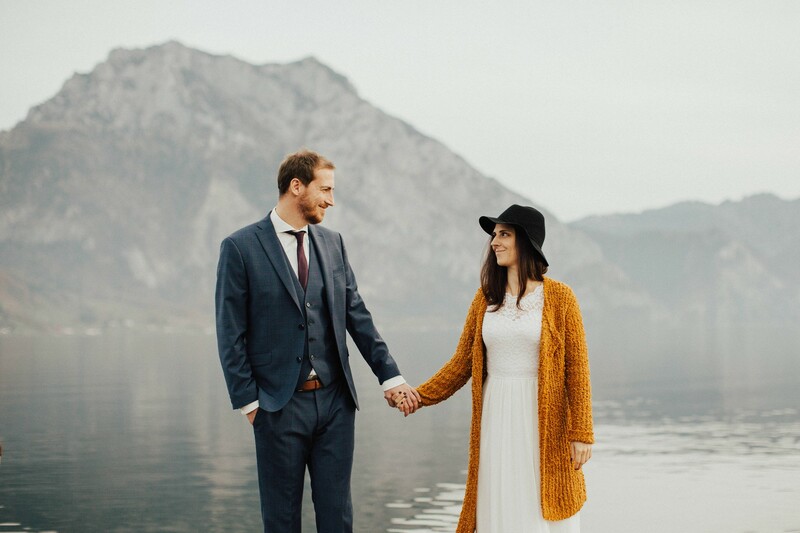 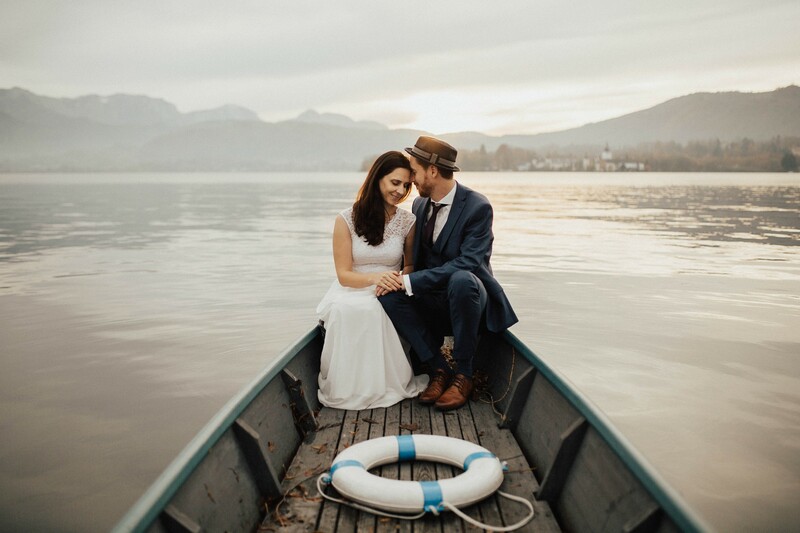 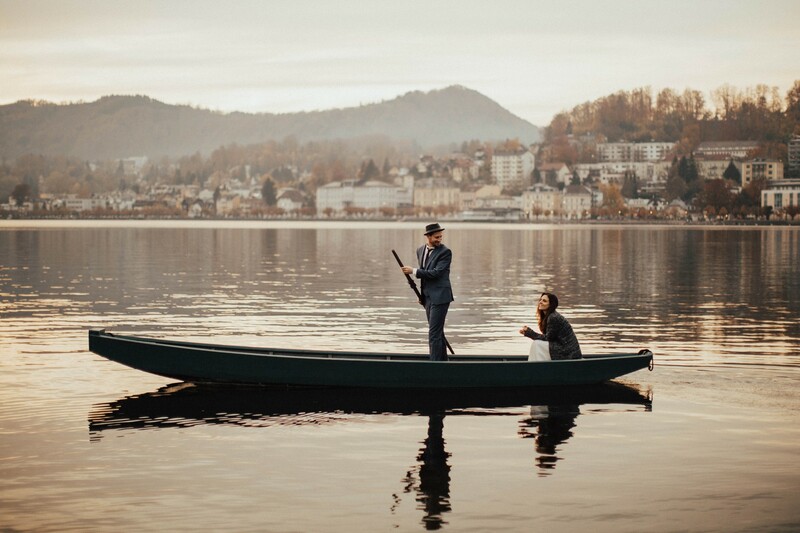 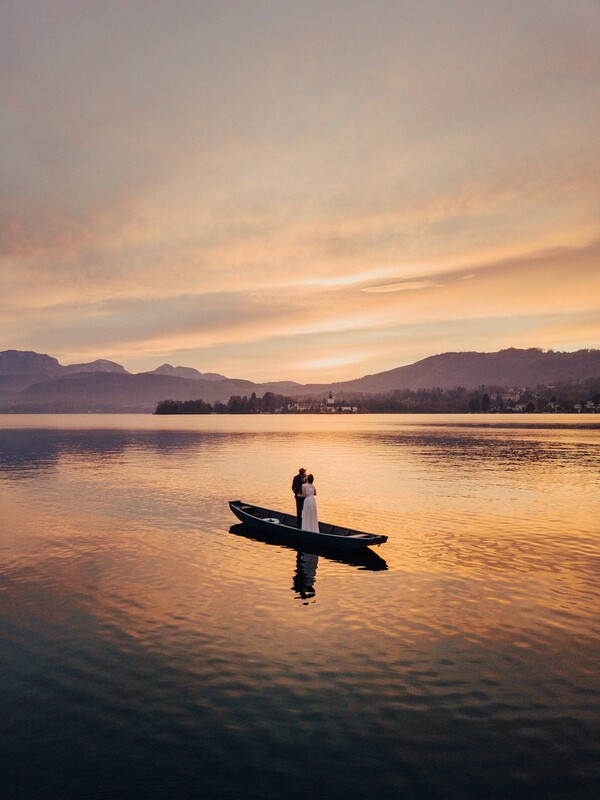 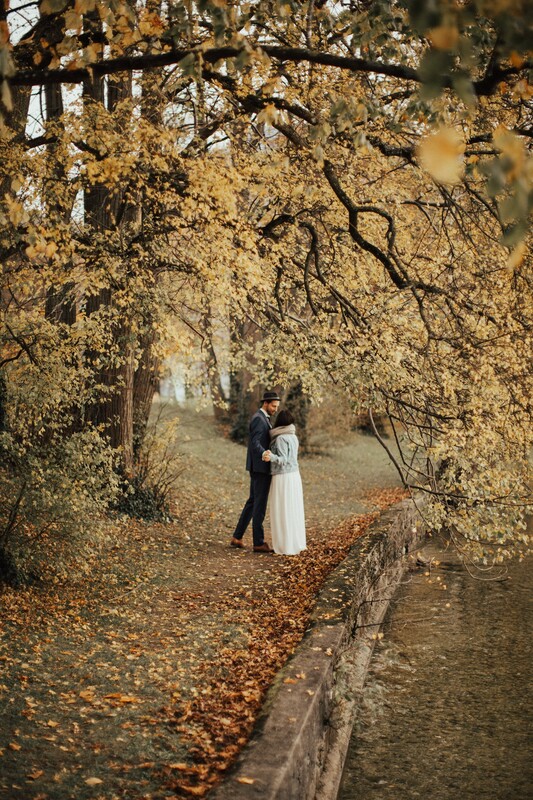 We spent some precious time on the lake (Traunsee) for their after wedding session – on a rented a boat, just relaxing and reminiscing about the beautiful things that happened this past year. 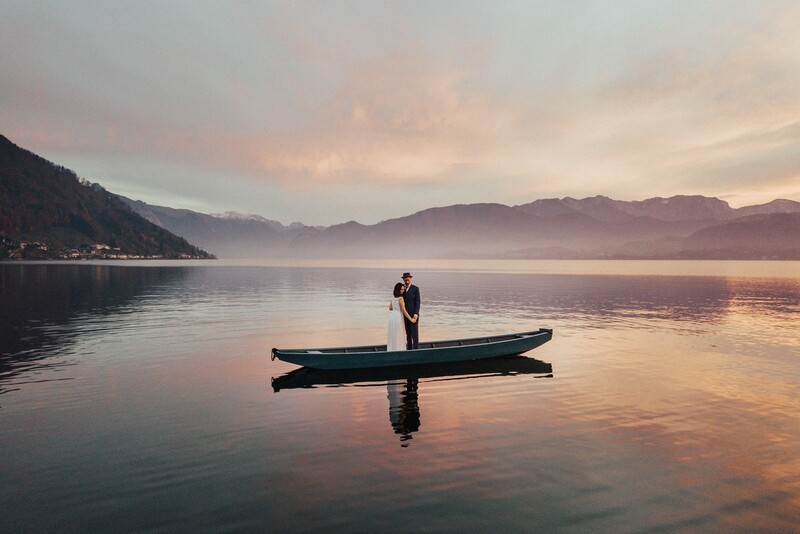 Though we were set to meet rain and a cloudy sky, the sun broke through and turned the sky and lake into all magic colours. 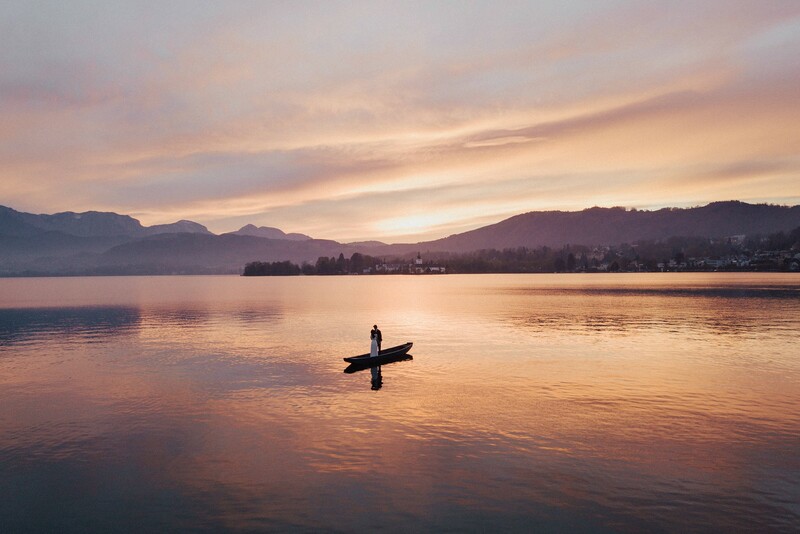 We found ourselves surrounded by radiant, overwhelming beauty and couldn‘t quite believe our eyes. 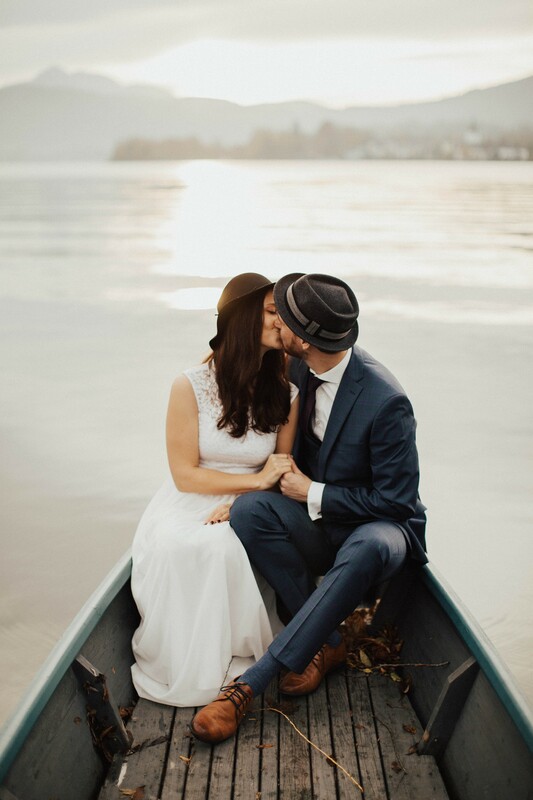 This definitely was the most beautiful way to celebrate the end of this special season we got to experience together!